Yesterday I booked tickets to travel to Peru this April to visit my nephew that works temporarily for a Norwegian company in this South American country. This is by far one of the most exotic destinations I have visited until now, and the 12 hour flight from Amsterdam will bring me half way around the globe where I can admire the sunset over the Pacific Ocean. My nephew lives in an apartment in the Miraflores district in the Peruvian capital. 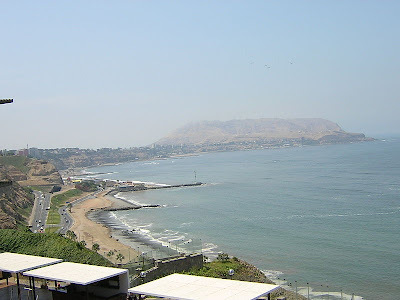 This densely populated part of Lima is located by the ocean. It has no direct access to the beach, as the city area rests on a cliff overlooking the beach. 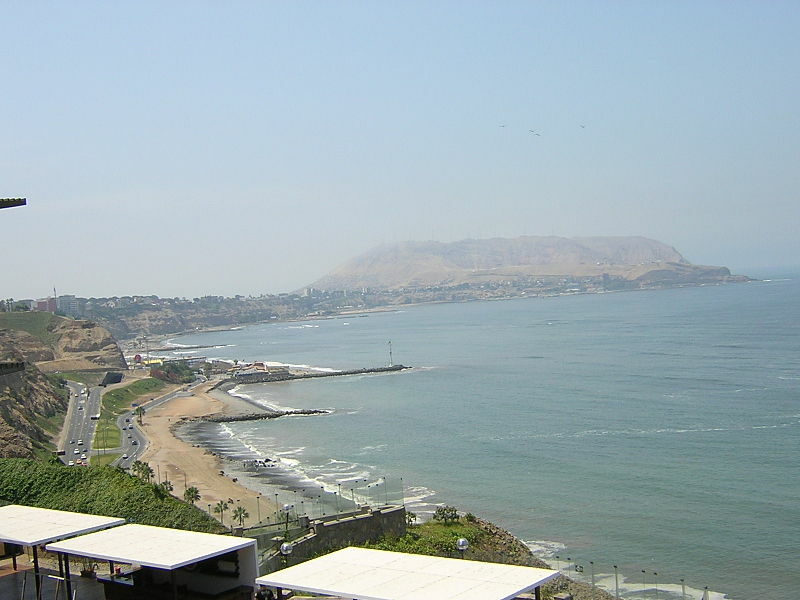 One of Miraflores attractions is the Larcomar Shopping Mall resting on the cliff itself. Here you have a wide range of shopps, bars and restaurants, and Larcomar is, according to my sister that visited during Christmas a great place to go to dine or simply have a drink. The second part of our journey is to see Cuzco, the old Inca capital, and Macchu Picchu, Urubamba with its Sacred Valley of the Incas. This is definitely going to be a once-in-a-lifetime experience. Breathtaking historic sites located in the wild subtropical wilderness in the Andean foothills. We have booked our flights with KLM from Oslo to Lima, over Schiphol International Airport in Amsterdam. You will have to stay on board a flight for close to 13 hours to get from the cool spring on the Northern hemisphere to the pleasant climate along the Peruvian coast, cooled by the Humboldt current. Here is a map of locations we are going to visit during our exciting South American journey. We will continuously update the map along our way in order for you to keep track of what we do, and we will return to Norway to share fascinating experiences from sandy beaches of the Pacific to snow capped peaks of the Andes.